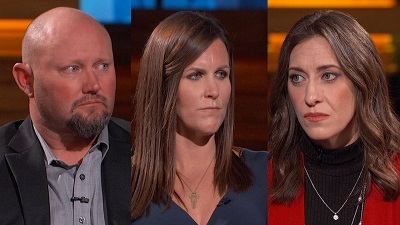 Dr. Phil Season 17 Finger Pointing and Accusations: Will Karlie Guse Be Found? Dr. Phil continues to delve into the mysterious disappearance of 16-year-old Karlie Gusé who vanished from stepmother, Melissa, and father, Zac’s, home in the early morning hours of October 13, 2018. They say they have done everything they can to try to locate their daughter but have yet to find any answers. Today, Karlie’s mother, Lindsay, joins the conversation. She says she has her own suspicions and is demanding answers about what really happened to her daughter the night she vanished into thin air. Lindsay says in her heart, she feels her daughter is no longer alive but is willing to do anything to bring her home. What can be heard in the last known audio recording of Karlie the night before she disappeared? Will Zac and Melissa share the recording with Dr. Phil? If you have any information on Karlie Gusé, please call Mono County Sheriff Department at 760-932-7549 option 7.